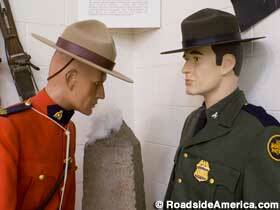 Believe it or not, there’s a National Border Patrol Museum. Located in El Paso, Texas, the building resembles a sieve. Curators have no idea how many people visit annually, since most enter without a ticket. Work is now starting on a TSA Welcome Center.